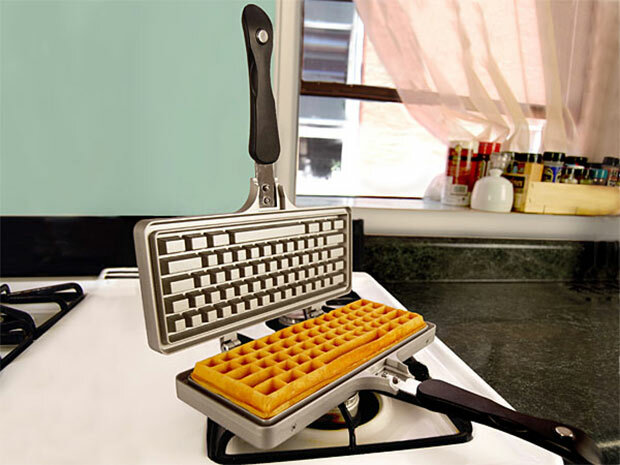 I like waffles. 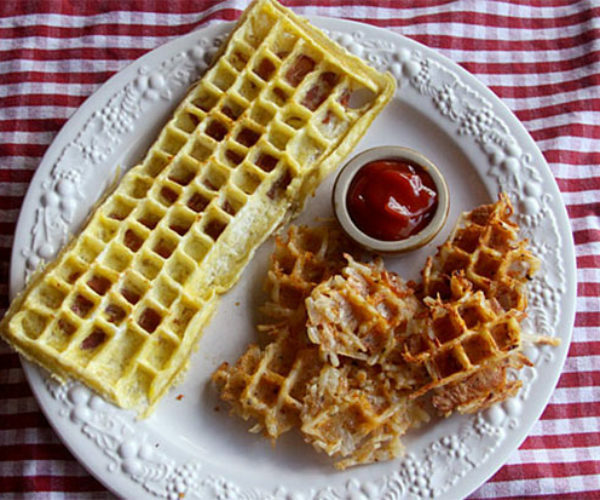 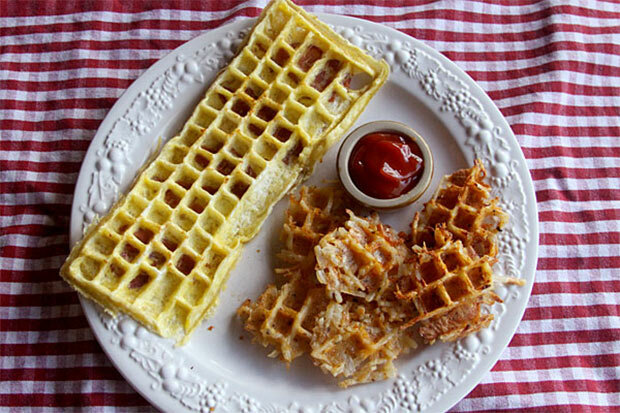 I think they’re much better than pancakes because the waffle is crispy on the outside. 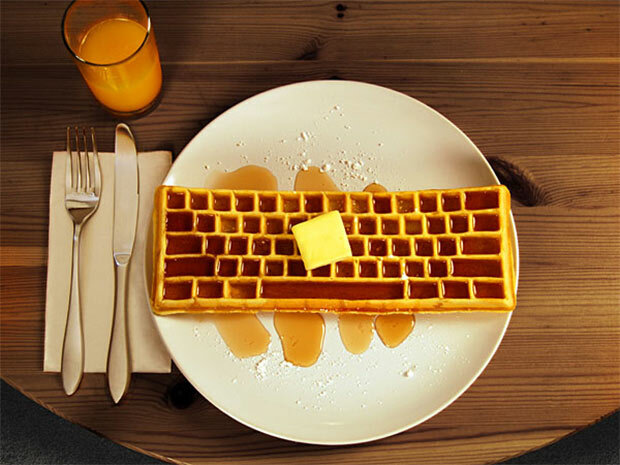 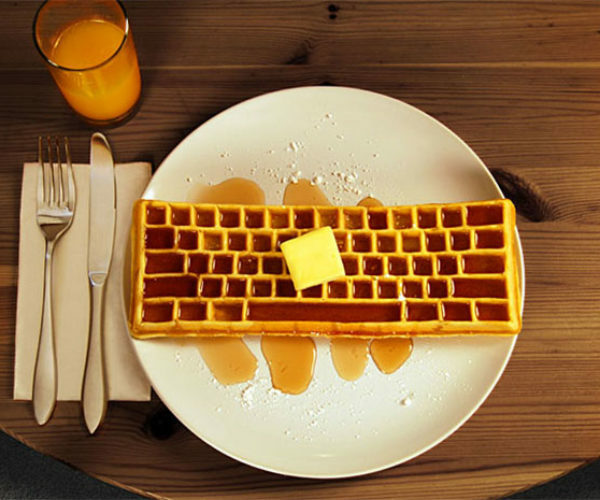 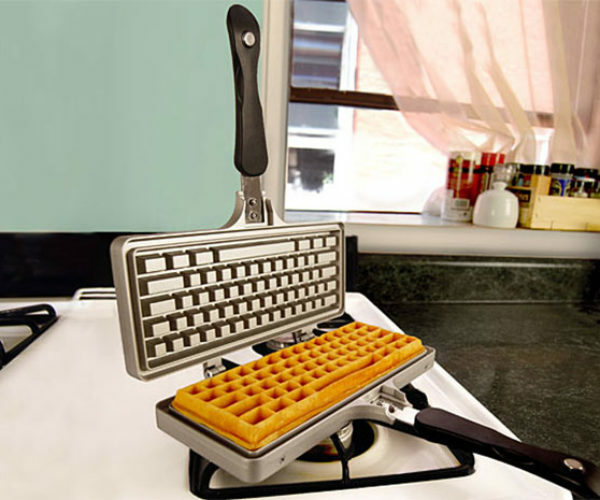 If you like waffles too, but you want a bit more geek in your breakfast, the Keyboard Waffle Iron is for you. 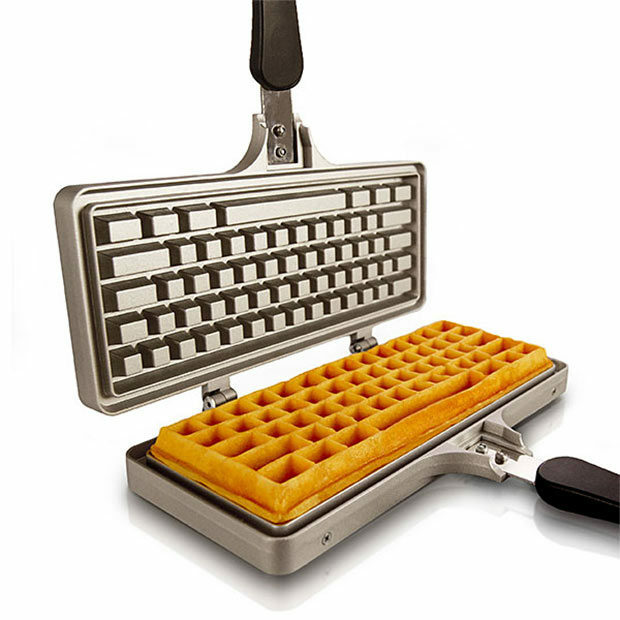 It makes waffles shaped like a 104-key keyboard. 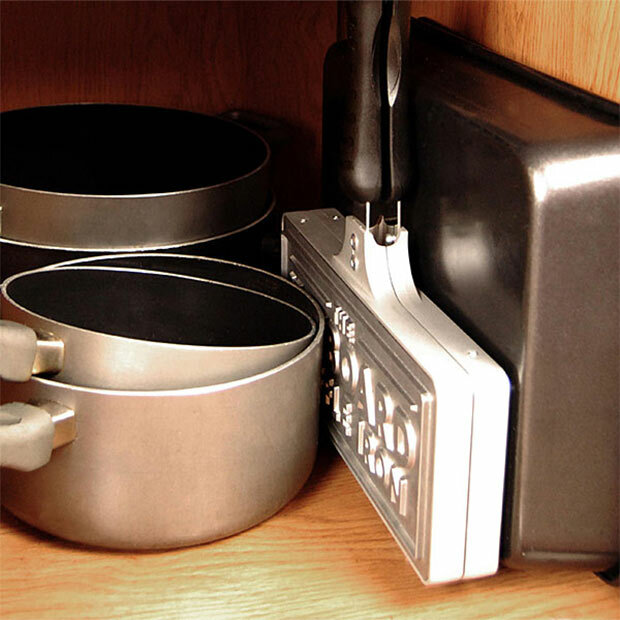 This isn’t a fancy electric waffle iron mind you, this is a metal pan that you put mix into and then hold over your stovetop burner or a campfire to cook. 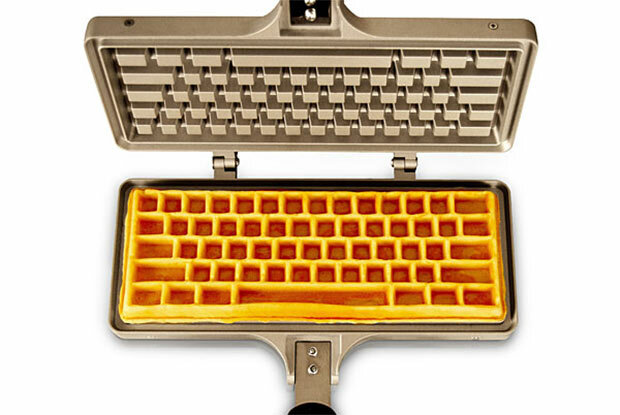 Keyboard waffles are the traditional camping breakfast. 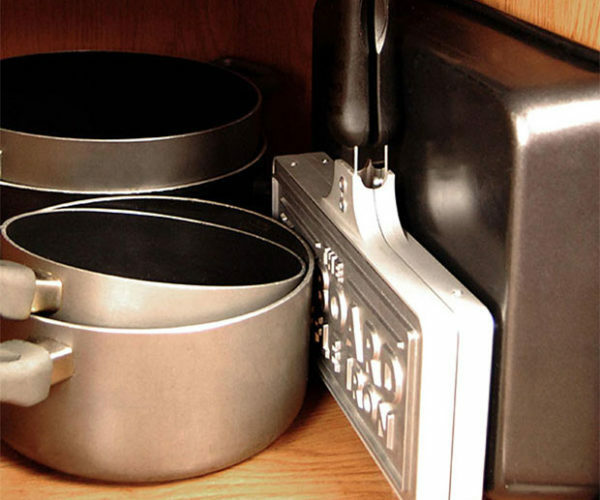 The iron is made from non-stick aluminum with bakelite handles that won’t brand your palms as you cook. 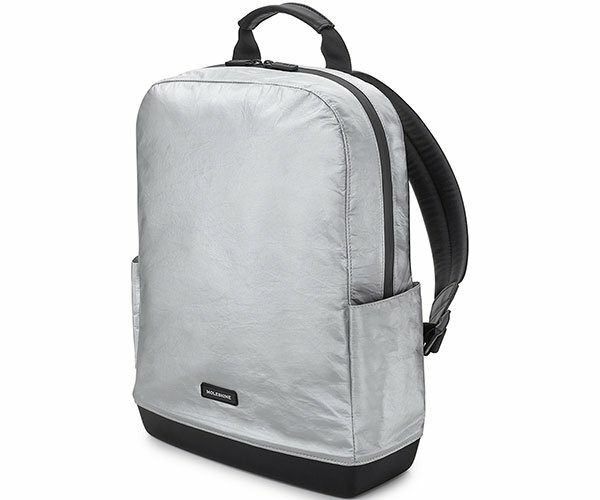 You can get one for $69.99(USD) at ThinkGeek. 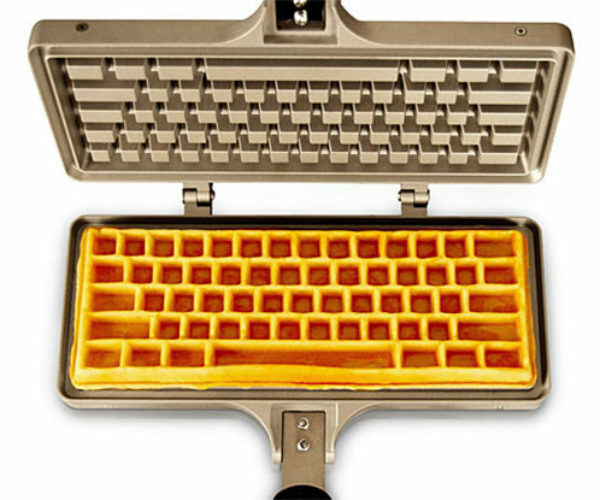 That’s a few bucks more than it was back in 2014 when we saw it first on Kickstarter, but at least you can be assured you’ll get your order without waiting for months for it to go into production.